EL CAJON – The Foothills Christian Knights are starting to get a little more attention with each consecutive win this season. On Tuesday, the Knights won their seventh-straight contest to open the season by defeating host Granite Hills, 64-9. Freshman NATALIE BRAVO led Foothills Christian with 20 points. Sophomore ARANTXA FONSECA added 17 points, six rebounds and five assists for the Knights. FCHS junior ELLIE TURK came home with a unique triple-double of 15 points, 15 steals and 14 assists. Granite Hills’ JAYLEE JONES had a basket early that tied the game at 2-all. However, Fonseca scored seven of the Knights’ next 19 points as FCHS led 21-2 after the end of the first quarter. Turk had a pair of three-pointers in the contest, as dominant Foothills worked on their ball movement and execution against the rebuilding Eagles. In addition to her 20 points, Bravo added five rebounds and four steals. Foothills Christian will face a fellow unbeaten Calvin Christian (4-0) on Friday in Escondido. “I believe (Calvin Christian) is going to be our toughest competition that we have seen this year,” Turk said. “We played them last year and they were very dominant. It was just the second game of the season for Granite Hills. GROSSMONT 62, LINCOLN 58 – Remember the Foothillers? 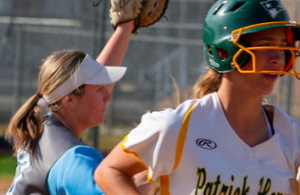 Grossmont opened its season on Tuesday night with a good win at Lincoln. The Foothiller girls must’ve been a little rusty, considering they trailed 26-8 at the end of the first quarter. GHS still trailed 54-46 entering the fourth quarter, but by then, the Hillers’ had their engine fully revved for the stretch drive. 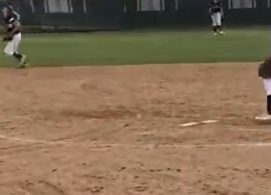 Grossmont outscored the Hornets 16-4 over the final eight minutes. 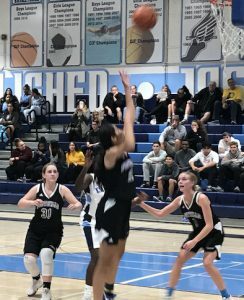 Senior ATHENA SOTELO, who helped lead the Foothillers to a SDS-CIF Division IV championship as a freshman way back in 2016, scored 22 points, grabbed six rebounds and handed out four assists. Grossmont senior guard MARISSA GILES added 15 points and a pair of steals. Sophomore guard DANECA PEREZ had 11 points, five steals and three rebounds. Junior SARAH HENRY added 10 points and three rebounds for the Foothillers. “We got off to a very bad start due to jitters,” Campbell said. “My girls stayed focused and was able to come back from a 20-point deficit. Grossmont will travel to face Monte Vista on Friday. 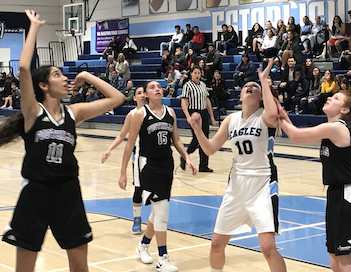 CHRISTIAN 67, VISTA MURRIETA 50 – The Christian Patriots used a 19-8 third-quarter advantage to pull away from host Vista Murrieta on Tuesday. Christian High led 32-26 at intermission. Five Patriots scored in double figures led by SIMONE JAMES’ 15 points, eight of which came in the third quarter. Freshman SHYANN VAN KIRK scored 14 points and finished with a double-double, added 10 rebounds and also five blocks. Sophomore KRISTIN WILLIAMS drilled a pair of three-pointers and Van Kirk had a pair of late field goals in the first quarter as the Patriots led 18-15 after eight minutes. “My success this game was being a lot more confident and finishing around the hoop because my teammates did a good job getting me the ball,” Van Kirk said. “I was also aggressive which resulted in getting boards. During the game I think we were very positive towards each other but. As a team we didn’t play our game, and we are a way better team then we showed today. Williams finished with four three-pointers in the contest. Christian senior YESINA SMITH contributed 14 points, while junior teammate ALLIE CARREON added 10 markers and seven assists. “Allie Carreon (had a) great game in every category,” Carrington said. The Patriots closed out Vista Murrieta (1-7) in the fourth quarter. “I am very proud of the effort off the bench. All four girls did what was asked of them. “RAELYN MUECA is an excellent defender and she and JASMYN CRAWFORD did great. Christian improved to 3-1 and has a marquee matchup next on Thursday at 6 against second-ranked Mission Hills at the Matador Classic. MONTE VISTA 64, SWEETWATER 31 – Monarch seniors TORRI HONORE and SARA TAHA combined for 56 points in the win over the Red Devils as Monte Vista improved to 3-1. Honore was 7-for-7 at the free-throw line, while Taha had three three-pointers. Senior ALYSSA MEDRANO added a three-pointer in the second quarter for Monte Vista, while freshman MEADOW DELINO added four points. “We got to the basket and we were able to get sweetwater into some early foul trouble,” Jimenez added. “Sweetwater came out and played hard and scrappy. They are a respectable team, they never stopped playing. The Monarchs got off to a 14-4 edge after one quarter and led 39-16 at halftime. “Overall, my girls executed the game plan, moved the ball and found the open gaps,” Jimenez said. Monte Vista is off to its first 3-1 start since 2012-13, a season in which it finished 24-7 and made it to the Division III semifinals. This year’s Monarchs compete in Division IV. 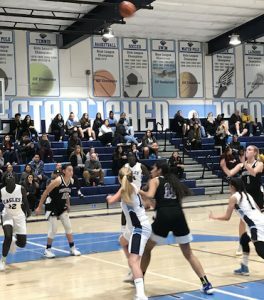 RAMONA 57, EL CAJON VALLEY 29 – The Braves and Bulldogs battled to an 8-all draw after one quarter in a Matador Classic game until the visitors from up the 67 took a 21-14 lead into halftime. The Braves (1-3) will travel to face Hoover in their next Matador Classic game on Saturday at 7. 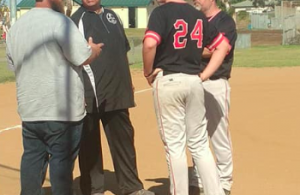 CALVIN CHRISTIAN 42, SANTANA 20 – The Crusaders defeated the Sultans in Escondido. Santana (0-6) will host San Pasqual in the Tip-Off Classic on Thursday at 7. MOUNTAIN EMPIRE 47, VICTORY CHRISTIAN 17 – The RedHawks got 11 points from GRECIA CORTEZ and 10 points from DALIA JUAREZ in the win. The RedHawks improved to 2-2 by holding VCHS to just two points in the first quarter in taking a 9-2 advantage. Mountain Empire (2-2) led 21-18 at halftime and actually shutout Victory Christian, 8-0, over the final period. LIBERTY CHARTER 39, BAYFRONT CHARTER 28 – Liberty led 8-4 at the end of the first quarter and 31-7 by halftime. The Lions outscored the Sharks, 12-8, in the third.